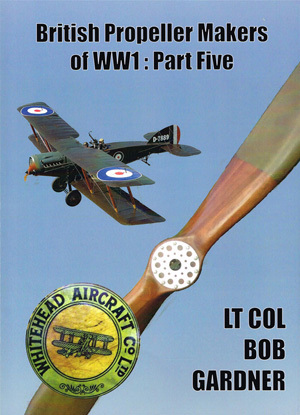 British Propeller Makers of WW1: Part 5 by Lt Col Bob Gardner is the last in a series of 5 books which provides a record of propeller manufacture in Britain during WW1. It is the specific detailed companion to our book on the general design and manufacture of British WW1 propellers. Whereas that book describes the design and development of aircraft propellers and the rules and regulations which shaped them, the aim of this series of books is to provide a guide to individual British WW1 propellers, to illustrate the various types and to describe those who made them. The makers are dealt with in alphabetical order. Part 5 covers makers from the Saunders Ltd to Wolseley Motor Co Ltd.